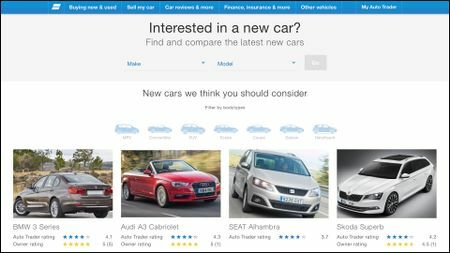 When you’re looking for a new car, a good place to start is one of our model pages – and there’s one for every new car on sale in the UK. 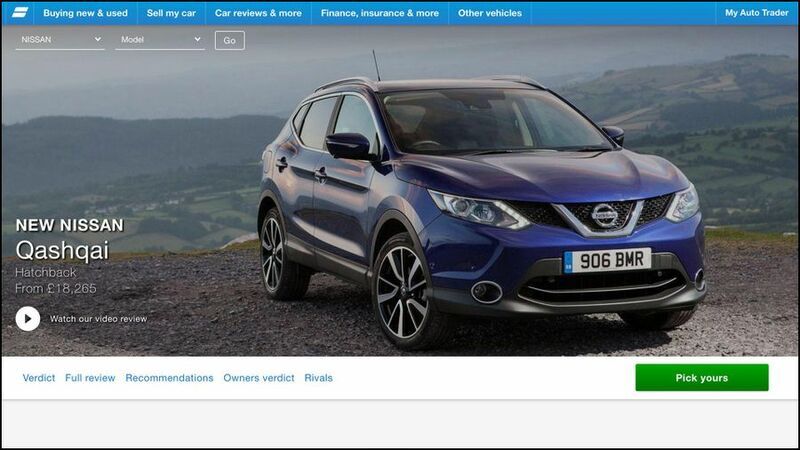 From Auto Trader’s New Cars page, each one of the model pages is just a couple of drop-down menus away. Or, if you’re not sure which particular model you want, you can start to narrow down your search by choosing which body style (hatchback, estate, SUV etc.) you are most interested in. Finally, you can scan through the latest articles from Auto Trader’s expert editorial team or just choose a dealer near you. Once you click through to the page on a particular model, this is your gateway to everything you need to know about that car. This includes a list of the latest relevant articles from our editorial team, as well as a list of other cars that were looked at by people, and even links through to versions of the car that are no longer on sale as new cars. The page starts with a quick resume of the car’s Pros and Cons, as well a link through to our expert review of the car. 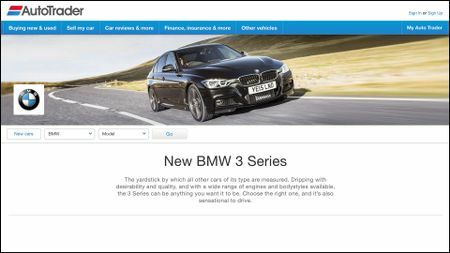 Then, there’s a list of the various body styles available – on the BMW 3 Series page, for example, you’ll find details of both the saloon and the ‘Touring’ estate, with links to the expert review – and from here, you can link through to a page that will let you specify a car to your tastes. Here, you can specify any – or all – of the following things: your budget, your preferred fuel or gearbox, favourite colours, and any options you would like to have fitted (don’t worry, the system won’t let you specify an impossible combination). Then, by simply clicking a button, our database will reveal a selection of the available versions that meet your criteria. What you do with this is up to you, but if you would like to be put in touch with a nearby dealer to discuss buying a car, all you need to do is to input a few details to get a personalised quote.